You have surely heard of corporate credit cards; however, you may not have been introduced to the benefits that having prepaid corporate cards can offer your company. With prepaid business cards, you can completely control the amount of money that your employee spends and how he or she spends it. At the same time, these business cards offer you and your employees the convenience of any recognized business cards. Enjoy total transparency, low fees, and mobile or online access and management with prepaid cards for business. Farhan Ahmad, the CEO of Bento for Business, described prepaid business cards in a recent interview for Forbes Magazine. First, even very solid small companies and startups may not qualify for business credit. According to the Federal Reserve Bank of New York, most small businesses secure only limited amounts of financing by using the owner’s personal assets or credit to back it. One of the first advantages of using prepaid corporate cards is that the business owner won’t risk personal credit or have to pay fees or interest for running up business credit. Offering employees the use of personal credit cards or even cash causes lots of problems, including the chance of mingling the owner’s own funds with the business and a total lack of control. At the same time, most business credit cards come with fairly high fees and interest charges, some perks that might not be that useful for your unique business, and few controls over the use of credit. Since these cards don’t rely upon credit, these problems are eliminated. Fast, online applications and funding: You can apply online and get started with your prepaid corporate cards within a few minutes. You will also be able to manage funding your prepaid business cards online from your PC or mobile phone. Total control: You can control the kinds of purchases that each employee makes with their assigned card. For example, you might limit drivers to purchases at fuel stations. The system will decline unauthorized purchases attempted with these prepaid cards for bushiness, and you will receive an immediate notification about any declines. Online and mobile expense management: You can free yourself up from dealing with expense and reimbursement forms and simply manage everything with a mobile app. The prepaid corporate cards also protect all of your valuable business information with SSL encryption. 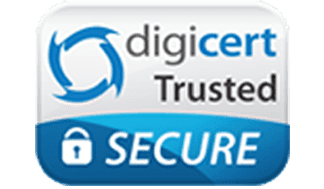 Secure funding: Your funds are as safe with these prepaid cards for business as they would be inside of your bank account. Your funds are backed by the FDIC up to $250,000. Low fees: You can try using prepaid cards for business without investing any of your money. 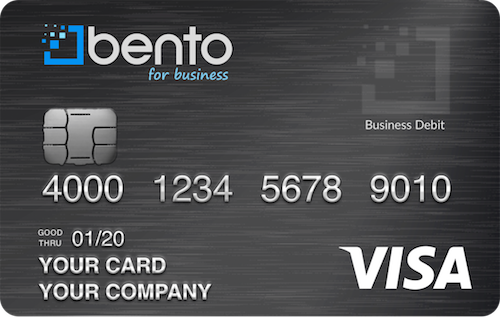 Why consider Bento prepaid corporate cards? Certainly, you will want to work with a provider of prepaid corporate cards that you can trust to provide you with financial stability and excellent support. Bento has proven their trustworthiness with a Business Bureau rating of A+. If you have any more questions about exactly how Bento can benefit your business, you can refer to the FAQ page for answers. Do your business a favor by giving yourself complete control over corporate expenses and your employees the convenience of a business Visa debit card. You can begin your free, 60-day trial today of prepaid corporate cards or call 866.220.8455 to speak with a live representative.